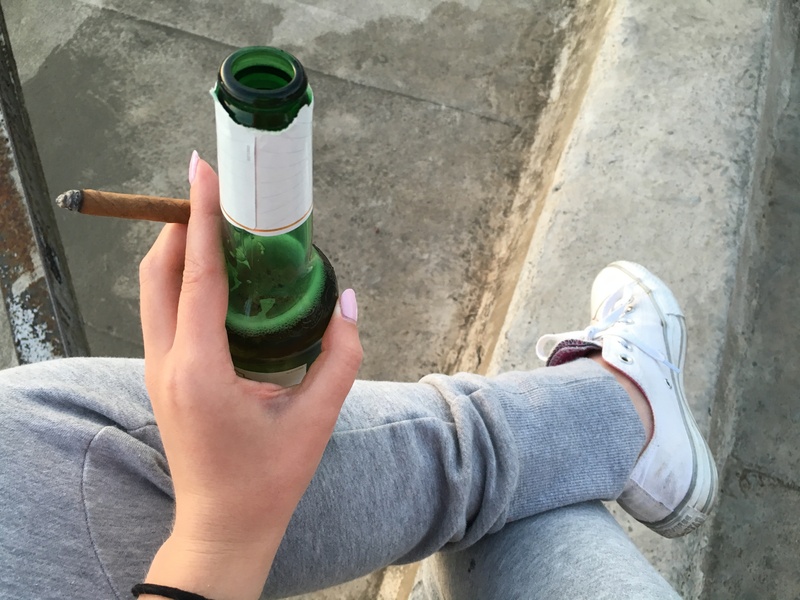 I went up to the rooftop of my apartment building to drink a beer, smoke a cigarillo, and think about life while the sun set tonight. Taking time to sort out your own thoughts and to ultimately get to know yourself is important. It was a good decision and reminded me of who I want to be. But life is really weird– like really, really, super weird. You’d think that finding those words would be the ultimate goal; you’d think that finding those words would be good. But I smile so much when I realize that I’m still searching for them because really, that’s the riveting part. That’s the part that makes you beautifully you.